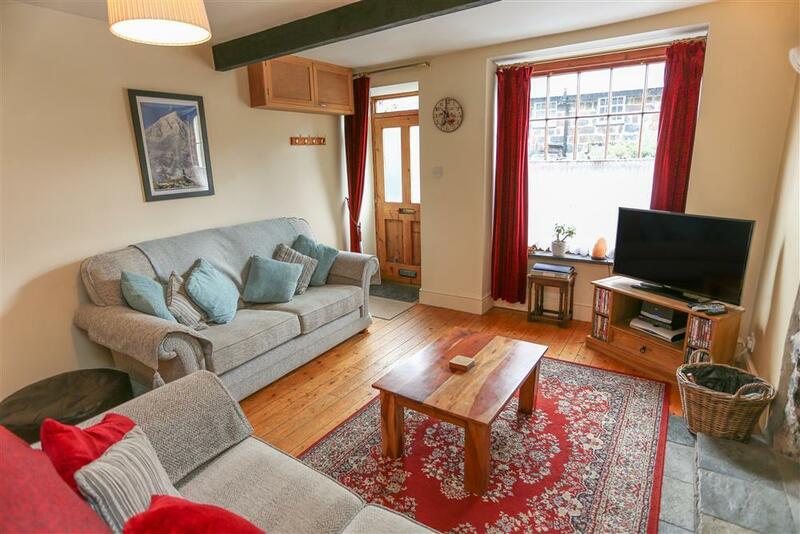 Relax in a spacious comfortable cottage near the river and village centre in Beddgelert, Snowdonia's premier village. 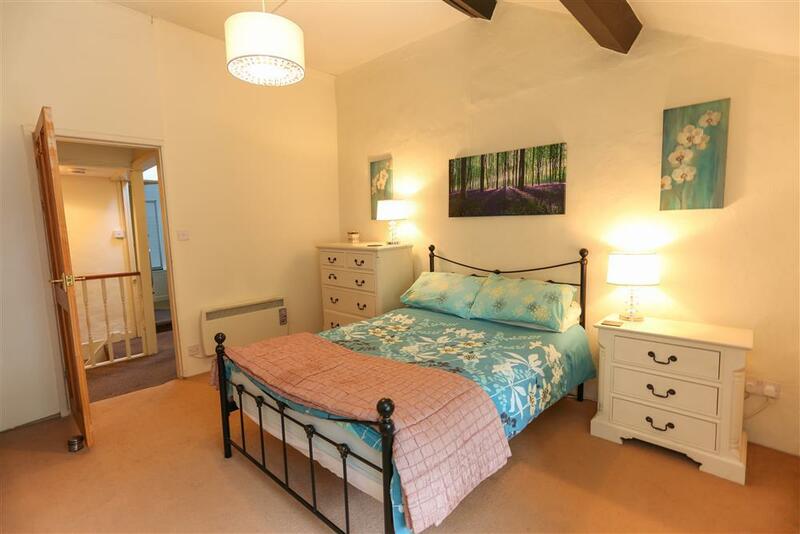 This is a very attractively prepared terraced stone cottage with two spacious bedrooms, views of the mountains and uniquely, a large woodland garden and patio. 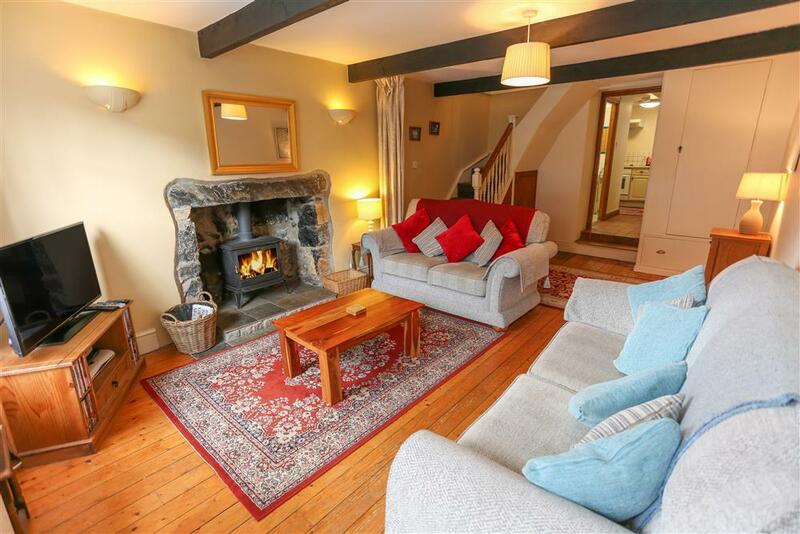 Prepared in a cottage style it is very conveniently situated within easy walking distance of the shops, inns and restaurants in this pretty conservation village at the foot of Snowdon. Whilst the mountains surround you here, the beach is only a short 30 minute drive to stretches of sandy beaches at Black Rock sands (Porthmadog 7 mls) and Harlech (12 mls). Walk along the edge of the cooling rivers from the village as they meander through the steep river gorges to large lakes and stop to have a picnic. Local attractions include Portmeirion village and the Welsh Highland steam train, Sygun copper mine and Bodnant gardens. Enjoy Cricieth (12 mls), an attractive seaside town with a castle and excellent ice cream; Porthmadog (7 mls), most noted for its harbour and the Ffestiniog Railway steam trains, shops and restaurants; and Caernarfon (12 mls), a town steeped in history with a magnificent castle, harbour and old walled town. Also visit Betws y Coed; a small town to rival even Beddgelert's charms with classy shops and Swallow Falls. 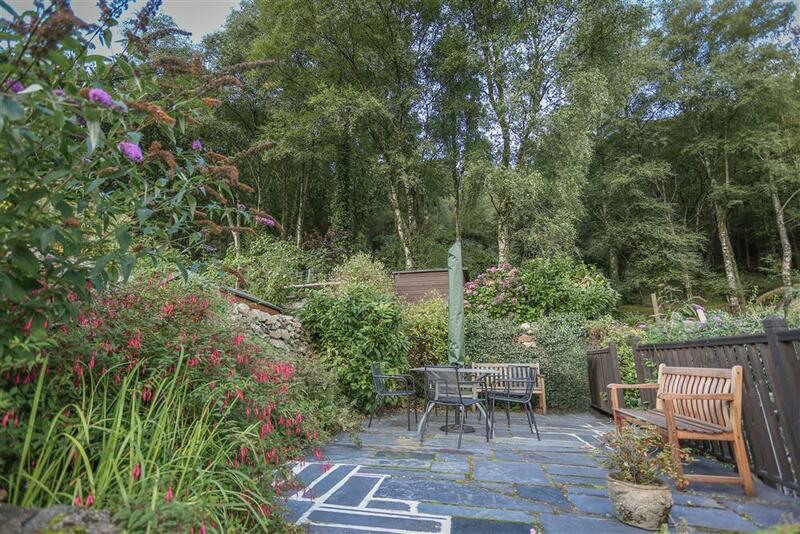 Beddgelert is a good central location with the benefit of a lovely friendly village atmosphere. 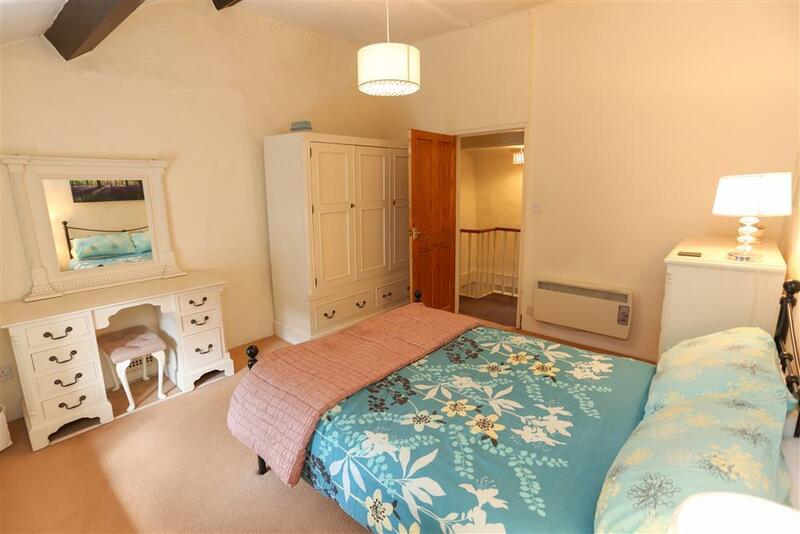 2 BEDROOM: One spacious Master double bedroom, 1 bedroom with a double and single bed. Bed linen provided. Please bring your own towels. 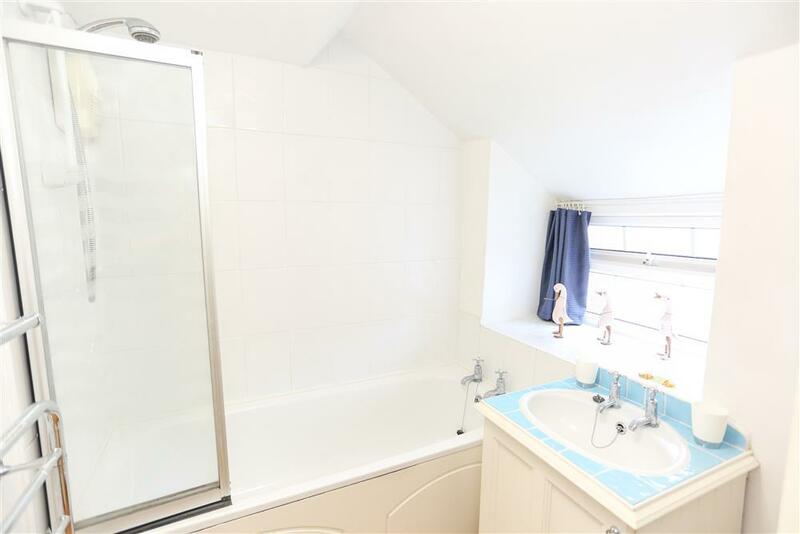 BATHROOM/WC with shower over the bath on 1st floor. Heated towel rail. 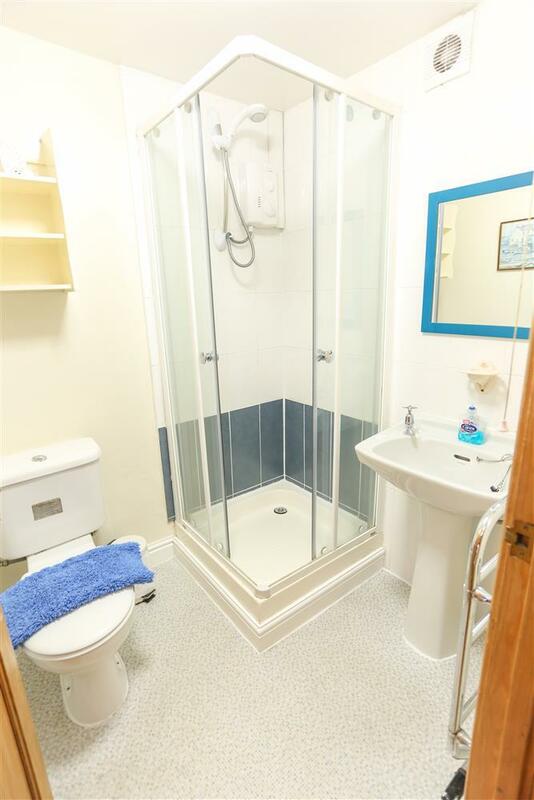 SHOWER ROOM/WC on ground floor. Heated towel rail. 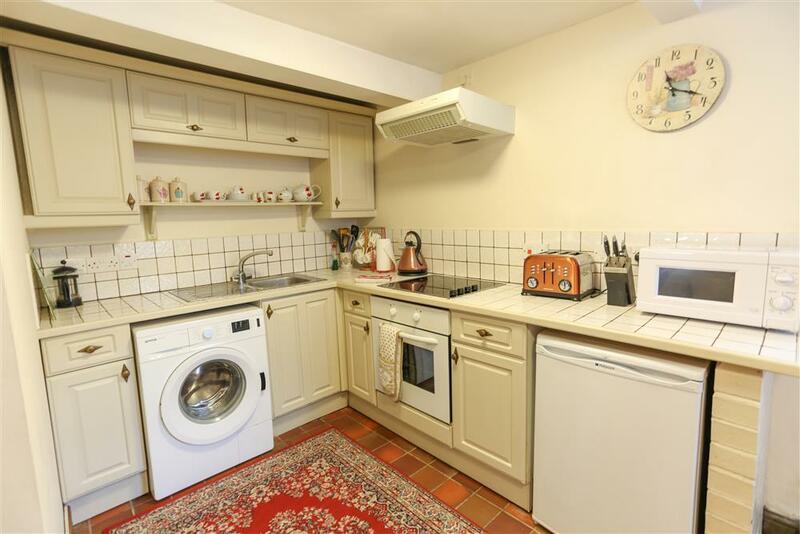 KITCHEN/BREAKFAST ROOM with electric cooker, fridge, microwave & washing machine. LOUNGE with mountain views through the large georgian window, TV with Freeview & multifuel stove in a feature stone fireplace (fuel not provided, but available to buy locally). HEATING: Electric heating in all rooms, £10 of electricity FREE. 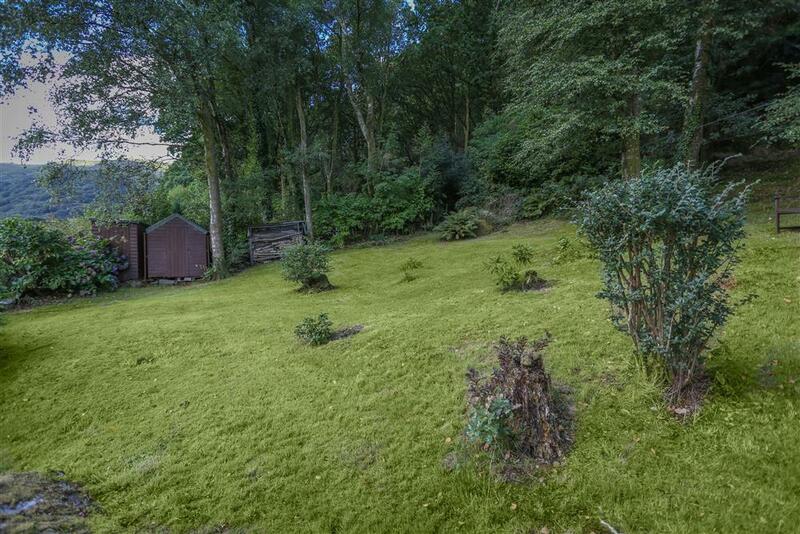 GARDEN: Pleasant raised patio to the rear with a woodland garden. PET: Yes, a maximum of 1 pet allowed. Free WiFi: Unlimited free WiFi available. EXTRA: EE is the only mobile phone network that will pick up signal in the village. Other networks will pick up signal once outisde of the village. Mini-break rules: A mini-break is a holiday for less than 7 nights and/or may start on a day which isn't the normal changeover day (Saturday). Out of season (November to end of March), this property will accept mini-breaks 56 days before the start date of the holiday, but does not accept any mini-breaks within season (April to end of October). 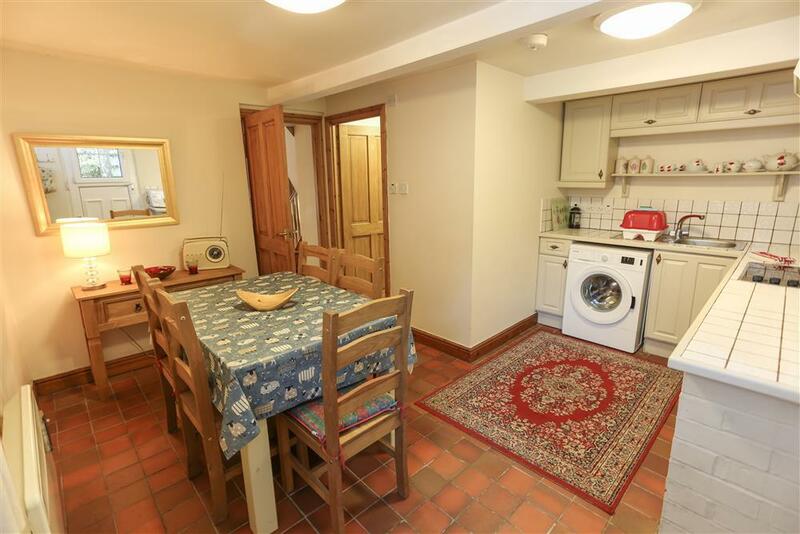 Mr & Mrs W (June, 2015): "Just to say a very big thank you for the let of your cottage. 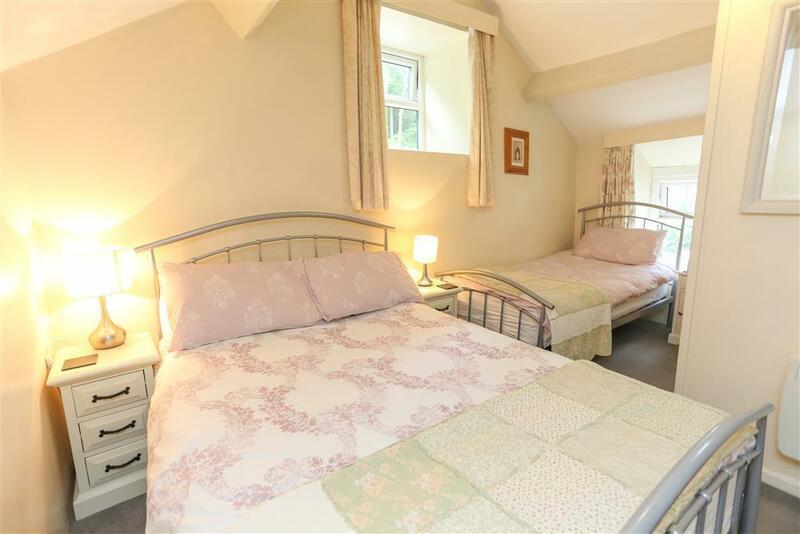 We found it a very comfortable, cosy, clean & a well equipped cottage & felt very pleased & lucky to have stayed in such a lovely place. It was in an excellent location for us as it was centre to all our walks & of course was very lucky to have such sunny weather. We gave your details to a man that was staying next door as he was interested in staying in your cottage - we hope you don't mind? We are looking forward in staying in Beddgelert again & hopefully in your lovely cottage - we'll be in touch! Thank you once again." 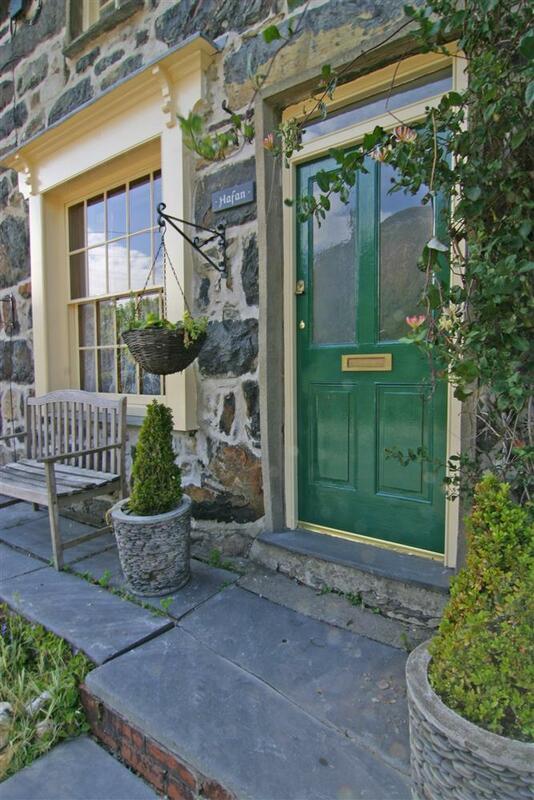 Mrs W: "My family and I were very happy with our week's stay at the above cottage in Beddgelert. The cottage was great and we had a very good holiday. Thank you!" 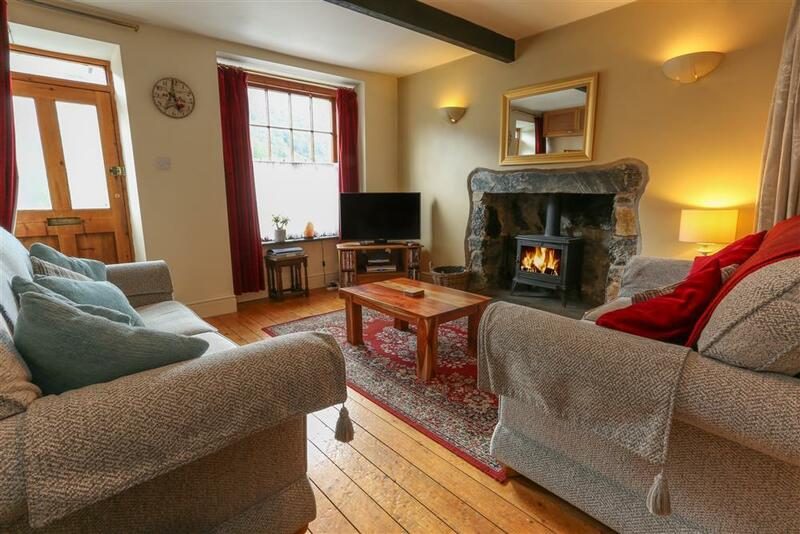 "Deceptively spacious and fitted and furnished to a very nice standard, Siop Fach provides comfortable self catering accommodation in the popular village of Beddgelert. Excellent housekeeping throughout." Parking for 'Siop Fach Cottage' is street parking outside of the property. 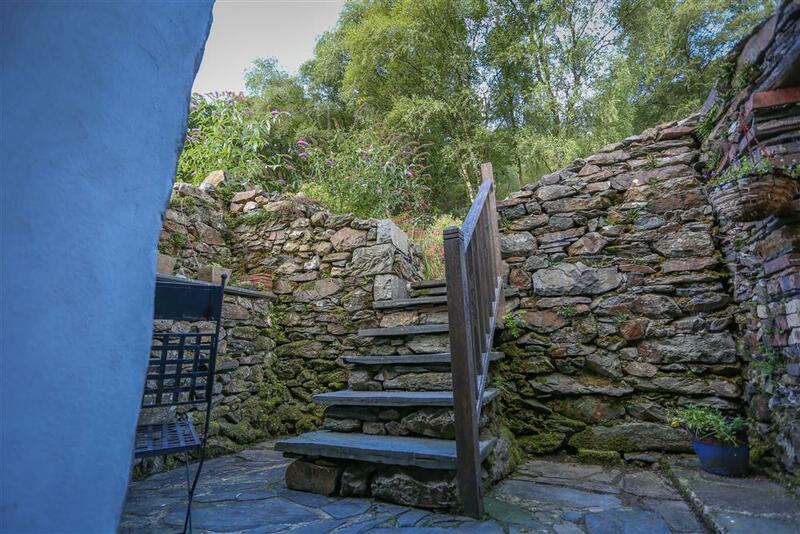 Access to 'Siop Fach Cottage' is up 2 steps (which can be seen in the photographs). Leaving the lounge to the kitchen there are a further 2 steps, these bring you to the kitchen/dining area and also a ground floor shower room with WC. Through the kitchen is a back door with 4 steps (highest step is about 20cm) leading to a shaded pation area with table and 2 chairs. There are a further 6 steps from here leading to another patio area with another table and 4 chairs plus a bench to relax on. Once you are here you can go up a further 5 steps which will lead you to the wonderful woodland garden. For access to the first floor there is a set of stairs (12 steps) which leads you to 2 bedrooms and a bathroom.